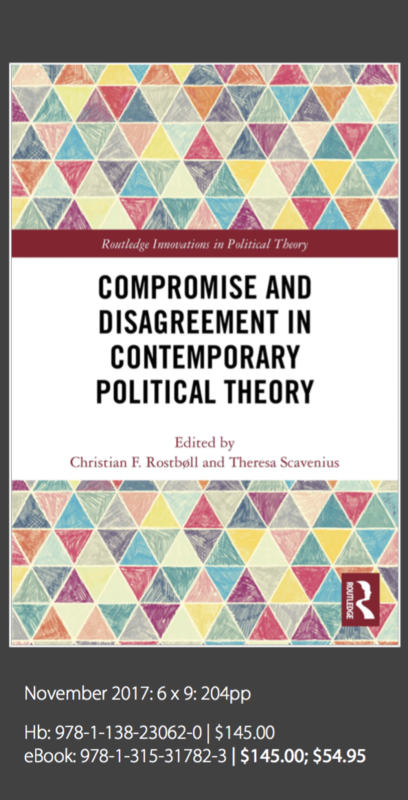 Christian F. Rostbøll has just published the book Compromise and Disagreement in Contemporary Political Science, together with Theresa Scavenius. The book is a part in the series Routledge Innovations in Political Theory. Compromise and Disagreement in Contemporary Political Theory provides a critical discussion of when and to what extent compromise is the best response to pluralism and disagreement in democratic decision-making and beyond. Christian F. Rostbøll and Theresa Scavenius draw together the work of ten established and emerging scholars to provide different perspectives on compromise. The book is found here.